Welcome to your Southern Utah Home! 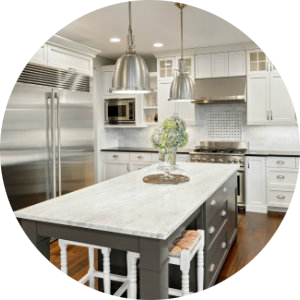 Offering you access to ALL condos and homes for sale, by all brokers, listed on the Washington County MLS. 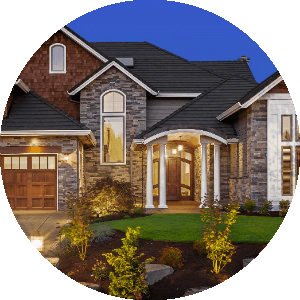 Search lots, condos, and homes for sale in St. George, Washington, Ivins, and the surrounding real estate areas, As you search this St. George city website, please keep in mind a great website can't replace the help of an experienced local Realtor®. For assistance contact Keller Williams Realty ~ 435-313-7164. Rich in pioneer history and surrounded by beautiful red cliffs, adorned by green golf courses, and surrounded by State Parks - St. George is the place to play & relax. The St. George area is a sports mecca, hosting many first-time events, including the St. George Marathon - the 5th largest in the U.S. and by far the most scenic. The Huntsman World Senior Games welcomes over 10,000 athletes from around the world. The IRONMAN 70.3 U.S. Pro Championships brings 2,500 athletes, and nearly 100 of the sports top professionals. The Canyons Softball Complex is home to more than 40 softball events each year. Add to the Sand Hollow Aquatic Center, Tonaquint Tennis Complex, Washington City Community Center (The states larges indoor aquatic center); miles of paved trails for hiking, running, and biking; the Dixie Regional Medical Center; Dixie State University; and the new regional airport, and what you have is one of the southwest's most dynamic destinations. 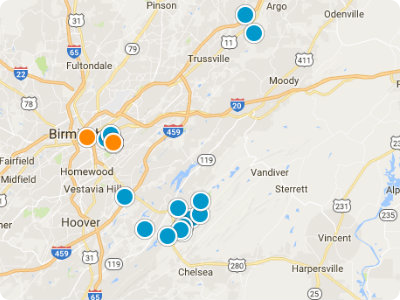 Below are the most recent homes to come on the market. 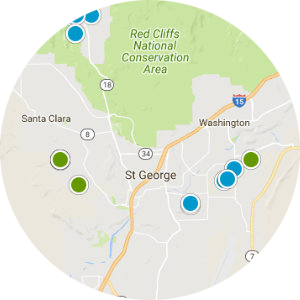 If you would like to see all of the homes for sale in the St. George area, just use the Advanced Search and set your criteria.